The FHL Youth Fishing Derby opens on a sunny morning at Del Venturi Pond, April 14, 2018, drawing 250 registered children age 15 and younger to compete for prizes. The largest rainbow trout caught was more than 20 inches long. Prizes included a fishing pole and tackle box for categories age 9 and younger, and 10 to 15 years old. 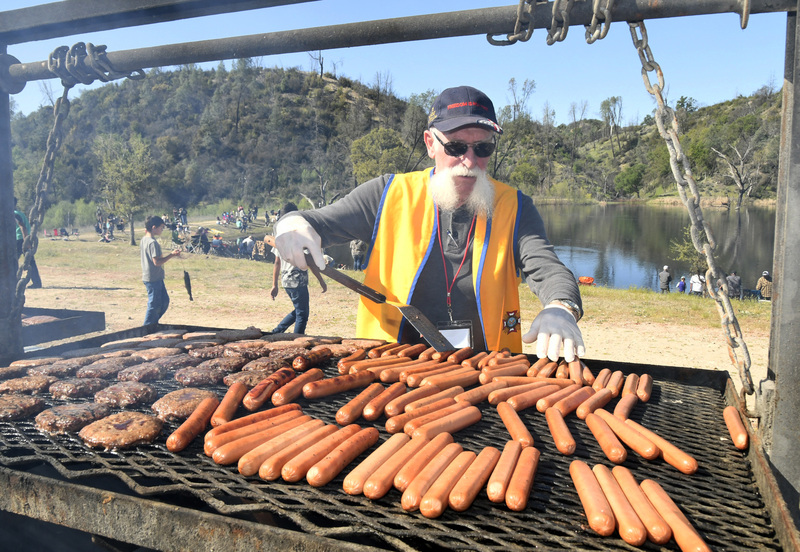 Charlie DeSchepper of the King City VFW Post 6747 cooks the burgers and hot dogs for the participants on their BBQ pit.